Security is so tight on the project that it might be easier for him to walk unnoticed down Woodward Avenue in his Caped Crusader costume than to gain permission to spill such details. But Affleck is happy to share his impressions of the Motor City and its cars, shops, attitude and economic challenges. Speaking by phone from Detroit about his latest film, "Gone Girl," he took some time to talk about living here during the months-long shooting. What does he think of Detroit so far? "I love it. 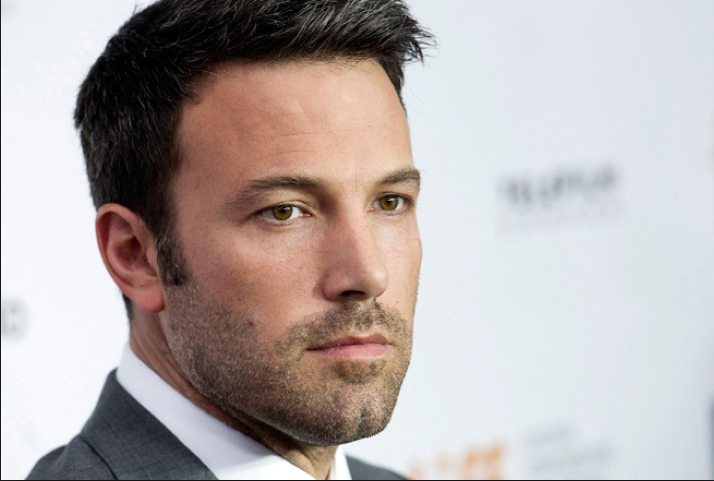 It's made a big impression on me," says Affleck. "I went and toured some of the car factories. I was really kind of moved by how American industry is actually employing American workers here in Michigan, that it's really happening, I saw it with my own eyes." Like many native Detroiters, Affleck is showing those emotions through his vehicles. Affleck has been exploring the region with his wife, Jennifer Garner, who is busy promoting her new film "Men, Women and Children," which opens locally Oct. 10. The couple celebrated nine years of marriage with dinner at Royal Oak's Bistro 82 in June. "They also crashed a Superman-themed children's party (with the host's permission) when they made an impromptu stop with their son, Samuel, to Southfield's Detroit Kid City play center in July. And in August, Affleck wore a T-shirt emblazoned with "Detroit City" during his ALS ice bucket challenge video that featured Garner. More recently, they've visited the growing Midtown Detroit shopping scene. "I went down to Shinola and me and my wife got bikes and drove around," Affleck says. Known for being politically aware and an activist for humanitarian causes, Affleck talks about Detroit both in personal terms and as a place that deserves more national attention for its economic struggles. "It's been really inspiring to see ways that people here are working and plugging away and rebounding and dedicating themselves to the city. There's this whole kind of spirit here of, 'Hey, we're on the comeback' kind of thing." He describes his reaction to getting off a freeway blocked by an accident and seeing streets of boarded-up homes where only a few people still reside. "I was just shocked that that even could be permitted to happen in the United States of America, that we weren't doing more collectively to improve this, that we were allowing part of our country to languish in this way." Those two sides of Detroit may be one of the factors that make it an appropriate location for "Batman v. Superman," a cinematic collision between two very different superheros, Affleck's brooding, mortal Batman and Henry Cavill's outer-space immigrant Superman. "There are things to be discouraged by here and there are things to be inspired by here. I find it really dynamic. There are parts that look like Metropolis and parts that look like Gotham City," says Affleck, perhaps with a hint of what's to come. "Batman v. Superman" is scheduled to open March 25, 2016.